Civil War paintings have unique characteristics that make them distinct from other works of art. Understanding that they are historical objects and works of art at the same time, I have a few suggested steps that you could take when looking at a Civil War Painting. This goes for looking at any painting. Before you consider Civil War Paintings as historical objects, consider them as artwork. When I see a painting, I like to first just stand in front of it and spend a solid amount of time to gaze at it. Instead of immediately trying to understand the historical significance or the meaning of the work, looking at the painting more literally and wholly can actually lead you to notice more details that may be subtle. In Return of the 69th (Irish) Regiment, N.Y.S.M. from the Seat of War (the above painting), there are so many vibrant colors, small people in the back, cracks on the ground, and other wonderful details, which you might just miss if you skip to analyzing before observing. Basic observations can later help uncover the history of Civil War that the painting illustrates. Not all Civil War paintings have flags, but a significant amount of them do, so it is worth spotting the flags. 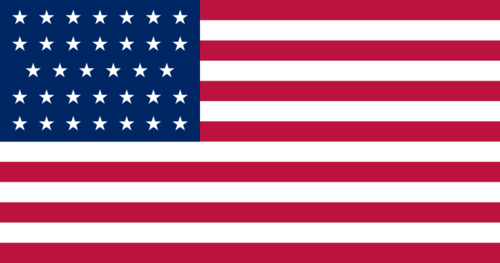 You will most likely find at least one of the two types of flags—The Union flag or the Confederate flag. 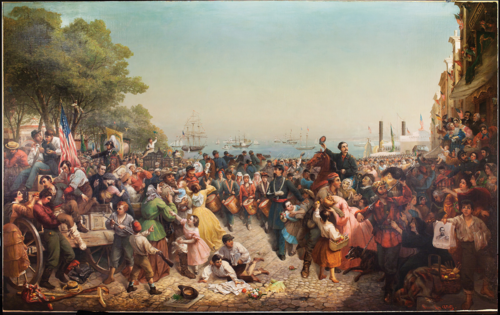 The flag or flags in the painting is one of the most important pieces of information that allows us to figure out what side the people in the painting were on, what side the artist was on, and what is going on in the painting. In the above painting, there is one flag that stands out, the Union flag, but there are numerous flags all of which can be found throughout the painting. You should focus on not only the flag that is present in the painting, but also the flag that is absent in the painting. 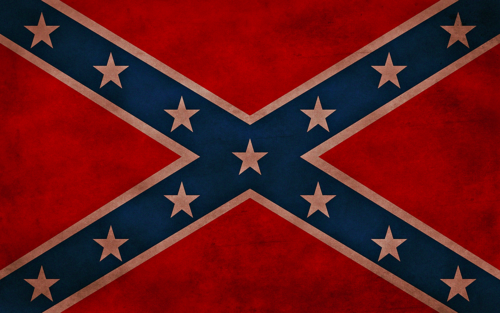 Why is the Confederate flag missing? Can you make a connection between the portrayed scene and the flags to make an educated guess on what is going on in the painting? As the Civil War was an event of violence and conflict, many paintings of the event inevitably portray outdoor scenes and battles. This means the sky is incorporated into these paintings. Whether or not the artist intended it, the color of the sky will function to emphasize the atmosphere of the scene. In this painting, the sky is blue and cloudless, giving the sense of calmness and peace. From this, you can assume that this is not a battlefield. Often, battle scenes have gray skies, capturing the dire nature of the moments in the Civil War. The painting gives numerous clues to help us determine which side the artist was on. So far, we have noticed the presence of the Union flags, the use of vibrant colors, and the clear sky in the painting. These details do not complete the puzzle, but the fact that the artist painted Union flags in a cheerful, peaceful, and even welcoming scene directs us to believe that the artist was on the Union side. As mentioned previously, many Civil War paintings portray battle scenes. Consequently, you will not see too many women and children in these works of art. However, if women and children are in a painting, they can act as powerful hints to the narrative of the piece. We must not forget that women and children were greatly affected by the Civil War although they did not fight actively in the battles as men did. Pay attention to the actions, the clothes, the postures, the placements, and the expressions of the women and the children. You will notice that the painting is telling a story different from that of a painting just with men. Last week I wanted to explore the absence of women on the graffiti door, and their struggle to fit in. Taking a quick glimpse through Graffiti Kings: New York City Mass Transit Art of the 1970s, I discovered that some of the female names on the graffiti door, like Yvonne, were tagged by males. It turns out that these jubilant teenage boys would tag their girlfriend’s name to honor them.